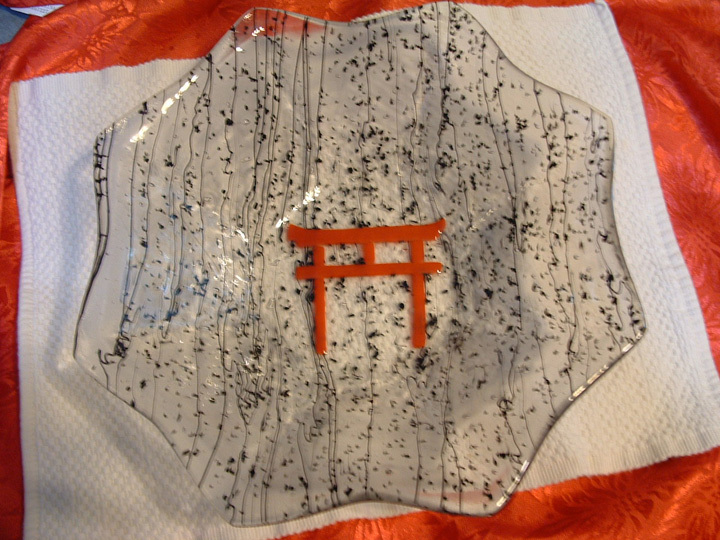 Melbourne glass artist, Rhonda Leonard traveled the world via the US military, visiting such places as the Philippines, Japan and Germany. Her world travels have given her a global perspective that allows her to incorporate different cultures, and their art into her own work. Her April exhibit at Art and Antique Gallery displays her creativity with “A Nod to the East”. 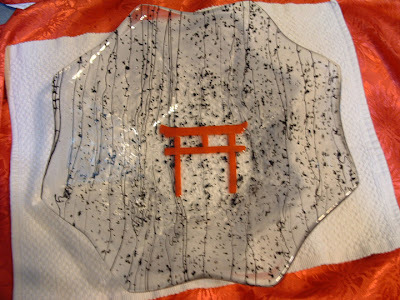 Rhonda discovered the world of glass when she returned to her roots in 2005 when she took classes in stained glass, fused glass and glass beads. Since there she has not stopped creating works of art by taking her creativity to new measures. This is her passion. She strives to combine the elite and unexpected elegance of fused glass with usability that allows her art to be experienced in daily life. She has participated in various shows and exhibits expounding on the world traveling experience through glass work.